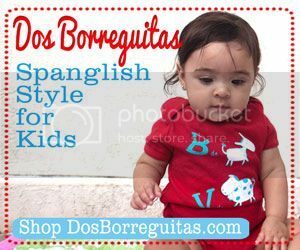 One of the most exciting parts of keeping up with SpanglishBaby is “meeting” so many other parents and educators who share our passion of raising bilingual and bicultural children. In the 10 months since we launched, we’ve felt part of a constantly growing community of bloggers who are lovingly sharing their bicultural families’ life stories. We’ve reached out to seven of these mamás blogueras (we DO promise to find papás for the next one!) to leave a piece of their holiday traditions here for all of us. Starting today, and for the next 6 business days, you’ll get to peek into the bicultural holiday traditions of these wonderful ladies and their familias. Some you’ve probably already met through their blogs, others might be a total discovery for you. They’re all gems in our book! We hope you enjoy this series as much as we did putting it together. Melanie Edwards is a Modern Mami™. As a Latina working mother, she provides an honest depiction of the everyday humor and drama in the life of today’s wife, mother and woman from a Latina perspective. She often blogs about the special concerns working mothers have in attempting to achieve a work-life balance. Melanie has been married nearly seven years and has a 4-year-old daughter. Growing up, we always knew Navidad had arrived in our house when our father began playing his música navideña. He would break out his tapes (yes, I said tapes not CDs) and play endless Puerto Rican folkloric music. It was also typical of him to use this as an educational moment to teach us about the different types of music, instruments, and even the history behind the lyrics. Additionally, there was also that special day early in December when we got together as a family to make pasteles. Pasteles are a Puerto Rican delicacy traditionally served in the Christmas season and made out of (mostly) a green banana mass with a pork filling. They are not hard to make, but do require a lot of work and team effort. So, every year we would pick a Saturday or Sunday to spend making our pasteles. The whole family was usually involved and everyone had their part. While we cooked and made anywhere from 100-150 pasteles, we also listened to music, talked about Puerto Rican traditions, and just laughed as we enjoyed our day together. 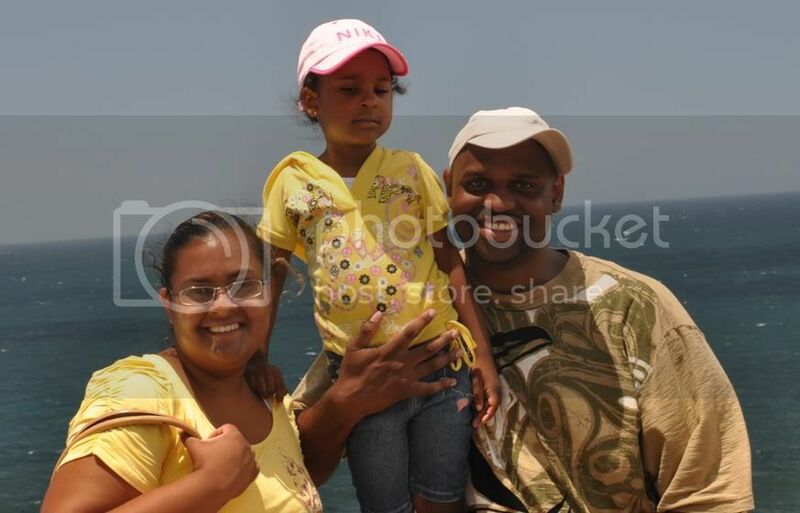 Photo by Melanie Edwards: Our family in El Morro, Puerto Rico. Of course, there's no guarantee your kids will ever look at the camera, is there? Now that I’m married and have a family of my own, I try to make my way over to my parents’ house along with my husband and daughter to participate in this yearly tradition. I want very much for my bi-cultural daughter to learn about both cultures and those important traditions that make up who she is. The day is still spent in very much the same way with music playing, conversations of Puerto Rico, and lots of pasteles being made. In our own home, though, I also incorporate some basic traditions during the holidays to be sure they continue to live. They may have been modified over the years and as a result of the merged cultures in our family, but they are still our traditions. It is common for me to make a batch (or two or three) of coquito during the Christmas season. My husband has come to love coquito and now requests that I make it before I even think about it. Coquito is sometimes referred to as Puerto Rican eggnog and is traditionally served at holiday parties. I am not sure if this is strictly a Latino tradition, but I know that I mostly see it being done in Latino households. Our nativity set is placed under the Christmas tree and always has been for as long as I can remember. I do the same and it has made the concept of “baby Jesus” a very real one for my daughter. As opposed to American families, we have our family dinner and get-together on Christmas Eve, or Noche Buena, instead of Christmas Day. This is when we have our traditional Christmas dinner of pasteles, arroz con gandules, and pernil. It is typical to celebrate Los Tres Reyes Magos (Three King’s Day) in Puerto Rico. When I was little, I used to make baskets for collecting grass to feed the camels and would receive a gift from Los Reyes under my bed. Sadly, this tradition has been somewhat overlooked over the years for various reasons. However, I am determined to introduce my baby girl to this holiday and its special meaning come January. All of these traditions help define who we are as a family. I’m thrilled that I get to share these customs with my husband and daughter and that we now get to make them our own traditions. Your Bicultural Holiday Traditions continue tomorrow with a story told by the Latina-ish Señora López in her unique style. She’ll put a smile on your face. Make sure you’re subscribed to our feed either by RSS or email so you don’t miss a beat. Thank you so much for having me as a part of this series! 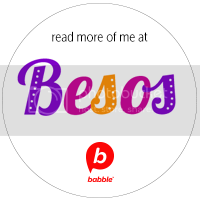 I had a great time writing the post and look forward to reading the posts from other mamás. Melanie, beautiful post. I know I will have a blast reading the whole series because although we are all latinas we all have different way to celebrate our holidays, specially with the food and drinks. I would love to make your coquito, your recipe looks easy and delicious!! .-= Silvia´s last blog ..Sorteo Navideño #6 Canasta con Productos Kraft / Holiday Giveaway #6 Basket with Kraft Products =-. Great post! Thanks for sharing your traditions with all of us. Gracias Melanie for opening up the doors/las puertas of your home and sharing your family traditions. 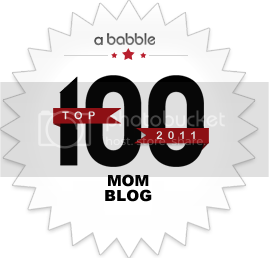 What a wonderful idea for SpanglishBaby to share these moments with us. Thank you to all / Gracias a todas. .-= Beth Butler´s last blog ..Music Monday – Have you downloaded the FREE Boca Beth Bilingual Music Yet? =-. When I realized that kids in the Dominican Republic, where my parents were born, got presents on Los Tres Reyes, I made sure that I got presents that day AND Christmas. Only my step-grandfather bought into it but he was muy muy generous. .-= Aliza Hausman´s last blog ..Disney’s First Jewish American Princess =-. For some reason we NEVER celebrated Los Reyes Magos in my house in El Salvador. I knew the day existed, but there were no gifts, or hay for camels, or shoes for the gifts..nada! Now, I at least want to do the Rosca de Reyes. I just love cutting that bread! Yes, Mealnie, Tres Reyes is one of the best holy days in the Christian calendar, for it is actually this holiday that presents should be given, representing the day the Kings arrived to see Our Lord and offer Him gifts! Our children get their presents on this day… and actually the after-Christmas sales are much better at this time! Y que me dicen de las Posadas? Does anyone doe Posadas? I have 8 children and we have been doing posadas since they were all little. We moved from Chicago to another state and introduced posadas to our new community. Now everyone’s into it and we are once again enjoying posadas! A blessed and Merry Christmas everyone! I enjoyed reading your post, Melanie! Thanks so much for sharing. I can’t even fathom making pasteles for my poor husband, but he says maybe he can get his Dad to send some from P.R. via mail…. We’ll see how that turns out! For us, it’s also all about Noche Buena, that’s when we have our big dinner – usually after midnight. There’s always music, dancing, drinking and of course, opening gifts. Christmas Day we spend eating leftovers, watching the kids enjoy their toys and just relaxing…. I love Christmas and this one will be a special one since it’ll be my son’s first one! It’s so cool how we are latin but have several different traditions, they are similar but different! I would love to try those pasteles, I shared the holidays once with a Pto Rican friend and didn’t know about this tradition. It would be nice to have a latin holiday potluck one day! .-= Dariela´s last blog ..Sid the Science Kid GIVEAWAY =-. Latin holiday potluck?? Genius and sabroso!!! That is a great idea! Que rico! .-= Melanie (ModernMami)´s last blog ..SpanglishBaby’s Bicultural Holiday Traditions =-.